How Russian intelligence may have turned Paul Manafort into an asset. The indictment against him suggests his work for Ukraine could have led him into a trap. Paul Manafort listens during a roundtable discussion on security at Trump Tower in New York on Aug. 17, 2016. Make no mistake: Paul Manafort’s arrest is very likely directly tied to Russian intelligence operations. Even a quick look at his indictment shows this. In Ukraine, Manafort made millions of dollars between 2006 and 2015 working to advance the agenda of the Party of Regions, a political organization with close ties to Russia. He then, according to the indictment, laundered those millions through Cyprus, a country widely known as the laundromat of choice for wealthy Russians. “Start with Cyprus. Any time you see Russia and Cyprus connected, it’s a huge red flag,” an investment banker with experience in Eastern Europe told me months ago after I asked how one would search for financial ties between Trump and Russia. 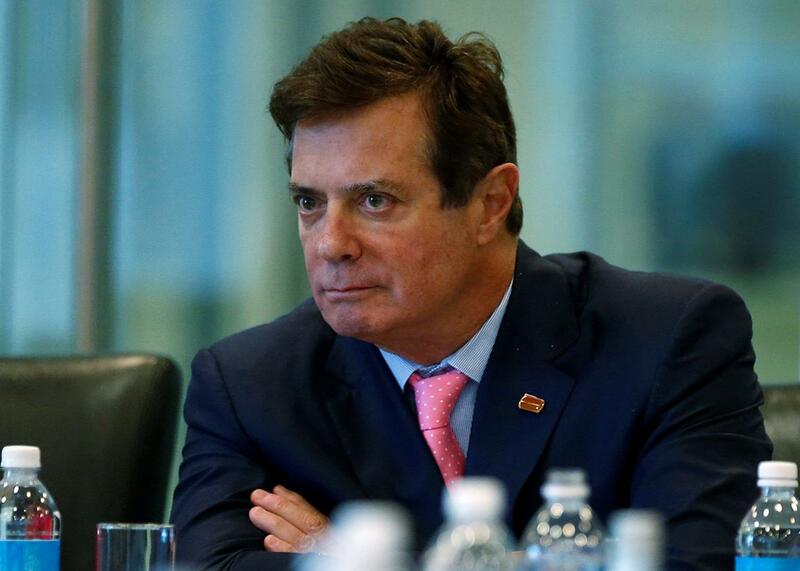 Given how thoroughly Russian intelligence had penetrated Ukraine’s government by 2014, the Kremlin, at the very least, had to have known about Manafort’s illegal activities, giving it leverage to turn him into an asset. This is a move straight out of the customary Russian intelligence playbook. Much of this saga turns on Manafort’s work with the Party of Regions. This organization isn’t your run-of-the-mill political party. The party reportedly draws the majority of its support from the province of Donetsk, where Russian operatives have stoked political and ethnic tensions and are waging war against the Ukrainian government. Its members have reportedly advanced the cause of reintegrating Ukraine with Russia, with one of them apparently doing so while holding a powerful seat in the Crimean legislature as Russia moved to annex Crimea. Perhaps its most famous member is former Ukrainian President Viktor Yanukovych, who fled to Moscow (along with his prime minister, another party member) during the 2014 Ukrainian revolution that ousted his government. Not only was Manafort, in essence, advancing the Kremlin’s agenda in Ukraine, he was also doing so without registering with the United States government as a foreign agent, and he was then laundering the profits he was making from this activity. If this information were to have been made public, there would have been a great chance that Manafort would’ve faced arrest in the United States. As soon as he started these activities, then, Russian intelligence likely had him in its clutches. As Just Security’s Rolf Mowatt-Larssen, a former CIA official, explained, such a trap would line up well with Moscow’s standard methods for recruiting foreign agents, wittingly or unwittingly, and may have turned Manafort, who has business ties with Russia going back at least to 2006. Any past or existing business deals that violate sanctions and other legal constraints would be another area that the FSB could have sought to find creative ways to exploit vulnerabilities among Trump associates in order to compromise them. Whether such an approach relies on exploiting simple corruption or greed, or involves a more sophisticated operation, would depend on the wants and vulnerabilities of their specific target and objectives. The most critical objective for Russian intelligence to engage Trump campaign staffers would not be to consummate business deals, but to use business deals as the basis for developing a target for recruitment purposes. … And remember a Russian strategy is to offer lucrative but illicit deals that many people would have a hard time resisting so as to co-opt, compromise, and recruit that person. If Manafort was already being developed by Russian intelligence since 2014, and was approached in a more concrete, operational way around summer 2016, then they would likely want him to begin communicating with them through other means than he was already using. If this happened, collection on the lines, accounts, or facilities targeted by the initial FISA order would go dry, and would explain why the surveillance ceased. In other words, there was no longer any foreign intelligence activity happening on the first FISA—but that’s because it was happening somewhere else. Once news reports of his shadowy work in Ukraine began emerging, Manafort likely became low-hanging fruit for the investigation. We can’t predict what’s coming next, but we do know Robert Mueller’s team will be squeezing Manafort for dirt about others’ involvement in addition to his own.